The Riley 5' Vertical Folding Pool Table has a vertical foldaway system and floor castors making this a great choice for a up and coming pool pros. It comes complete with full range of accessories. Size (when built): L 150cm W 82cm H 77cm. 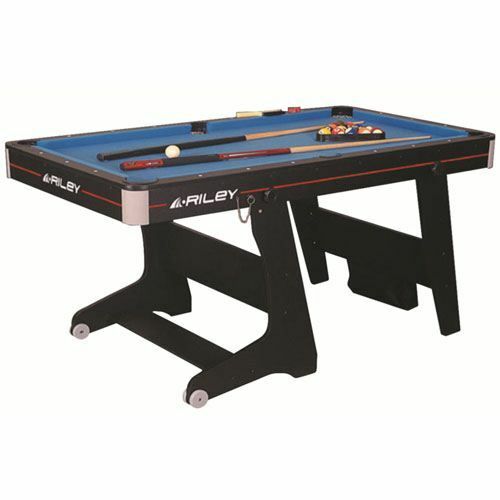 for submitting product review about Riley Vertical Folding Pool Table - 5 foot.